Just when I thought I’d really seen it all, I found these tiny tear-shaped red peppers called sweety drops in the olive bar at one of my local grocery stores. 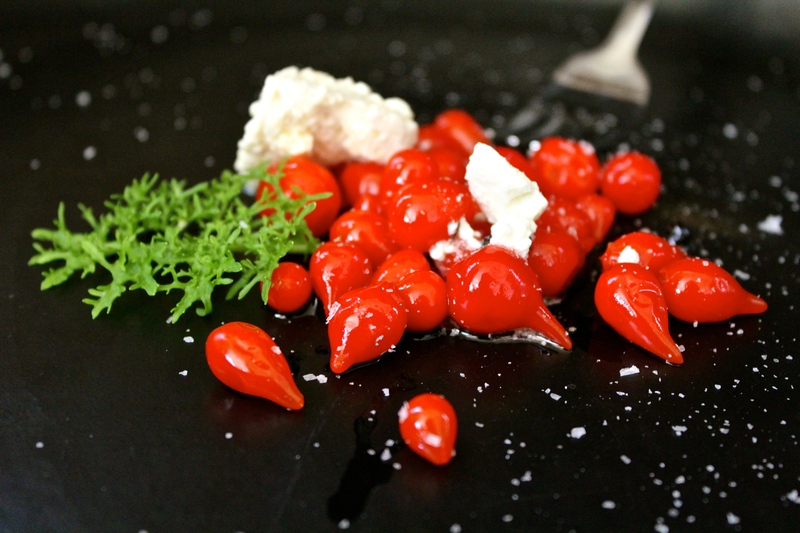 Delicious and versatile, these miniature peppers grow in the Peruvian Amazon and were discovered fairly recently. Be a trendsetter and serve some at your next dinner party on an antipasti platter or mixed into a salad. On day 70 of this 365 day project, I ate my daily five (including some gigantic, juicy blackberries). Did you enjoy yours? They are delicious on pizzas!